Even though now the weather is cold and it's getting darker and darker all the time, I still enjoy making and eating simple fresh food. I used to eat this shrimp salad often in Italy during the hot summer, it's lovely! 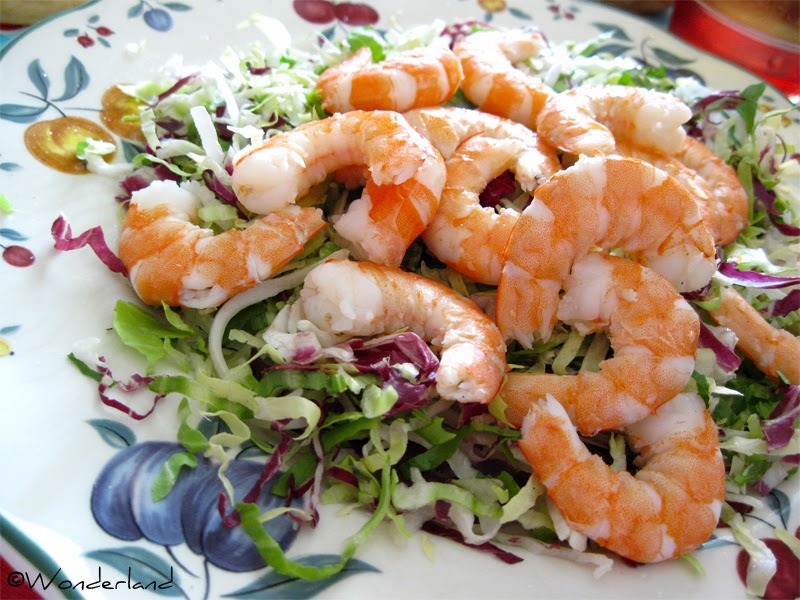 It's light, healthy, fresh and ready in few minutes! NOTE: In this recipe I use big frozen uncooked shrimps, better if they are already without heads, tails and de-veined. Cook the shrimps in boiling water for about 15 minutes (or follow the package instructions). Drain them and let them cool down. Peel them of the shells. 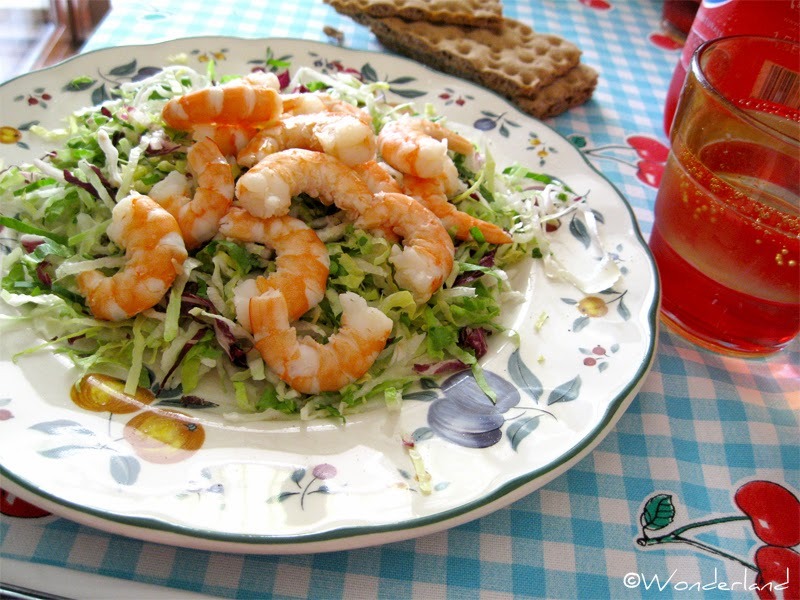 Place some salad on a serving plate, add the shrimps on top of the salad. Add oil, salt and a squeeze of lemon juice. Serve as it is or with mayonnaise.